In Gainesville, Florida there is a geographic area where the highest number of canine strays are taken in to the county shelter. The area is one of extremely low income and few resources. 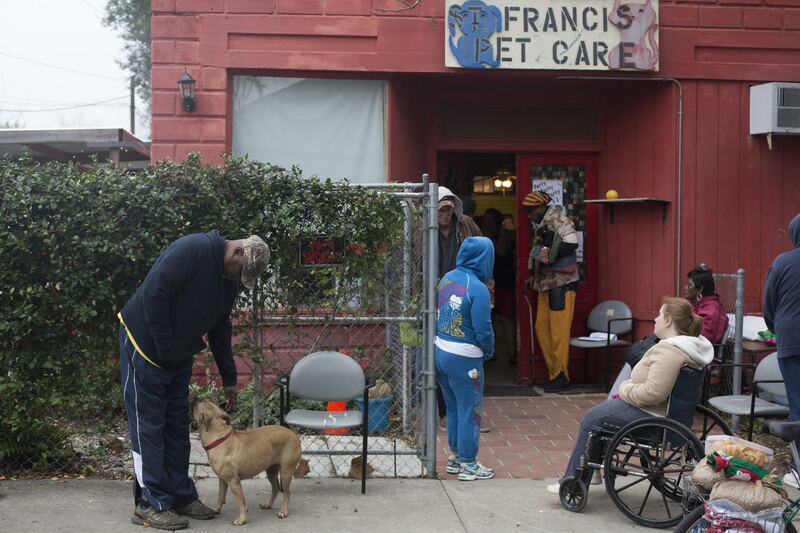 St. Francis Pet Clinic has teamed with local advocacy groups to provide a monthly veterinary outreach clinic to provide free healthcare to the pets belonging to these individuals. Any resident of the area who signs up will be able to pick up a month’s work of dog or cat food and a storage container. Those who agree to spay/neuter their pets (to prevent overpopulation) will receive free veterinary care for their beloved pets. Dogs enrolled will become microchipped to verify that these dogs (and some cats) are not the animals ending up in the shelter system, thus proving that these services are invaluable to this community when it comes to keeping their pets. Cold Noses granted this wonderful program $5,988 to open a much needed second clinic in this area with the goal of enrolling at least 50 dogs. We look forward to seeing a decline in strays ending up in the county shelter.